How much does a man and van cost to transport a sofa? Man and Van costs are based on the type and quantity of items, the distance travelled, the number of staircases, the size of van, the number of men, and the time and date. Sofa moves are one of the most popular Man and Van jobs, and the table below shows indicative prices for a two seater sofa move in and between key UK cities. To get an accurate and instant price for any Man and Van service, get in touch with AnyVan today! Any van was easy to arrange .very helpful & pleasant staff . Definitely use them again. Just easy. Man and a van but with insurance etc built in and tracking. Very good. It all went quickly and easily. It's great you can track where the driver is real time. Driver was on time and very polite and helpful. Great service and reliable, especially at the last minute. Driver was friendly and personable. Let AnyVan's man with a van service take care of your transport requirements. We provide a professional operation at extremely competitive pricing. Our transport partners are constantly operating across the UK, so if you're looking for man and van hire services near you, we can get you moving as soon as you like. We go the extra mile for our customers so that we can guarantee their peace of mind. 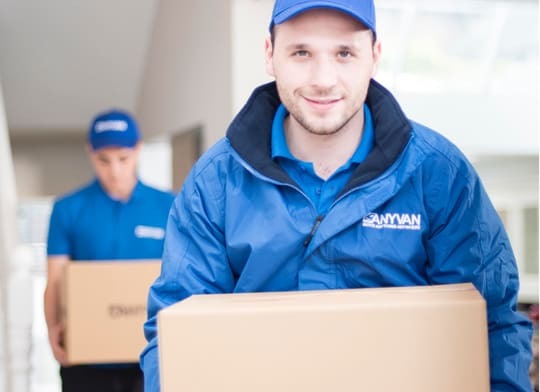 When you use AnyVan, you'll be assigned your own personal move coordinator to ensure your man and van service is as seamless as possible. You'll also receive free basic compensation cover up to £50k for fire & theft (in accordance with our Ts&Cs). 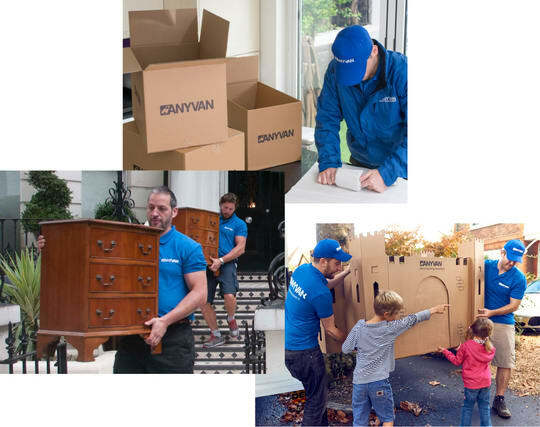 Of course, with AnyVan, there's no need to risk damaging your goods through using a cheap rent a van service and going the DIY route. We make great savings for our customers and have an average rating of 5 stars from 40,000+ reviews. Whatever you need transporting, we strive to make the task of moving as easy and cost-effective as possible. 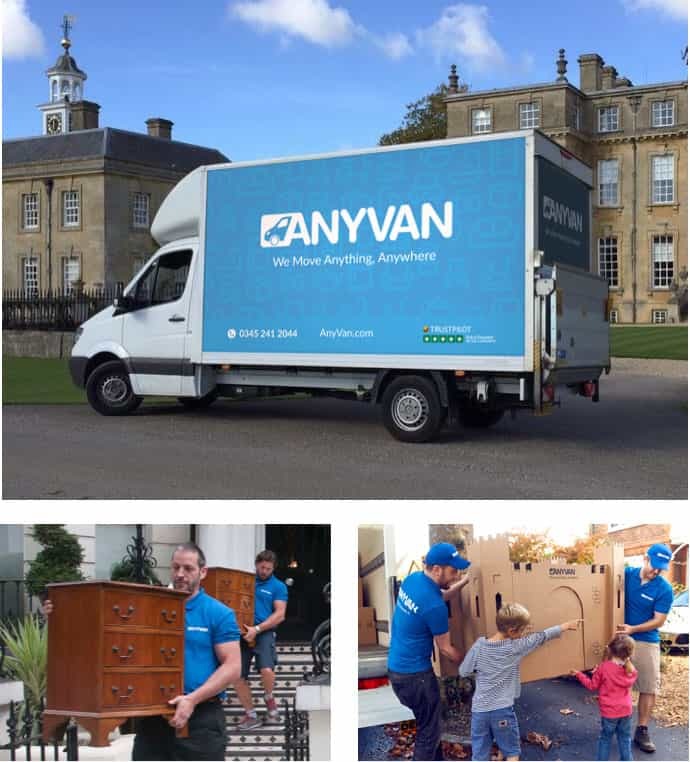 With AnyVan, you can receive instant man and van prices along with free basic compensation cover and an industry professional to oversee the job from start to finish. No matter what you need to move, our transport partners will have precisely what they need to get the job done. This includes materials to pack, secure and protect your items, as well as tools that may be needed to disassemble and reassemble certain items to help them fit through narrow spaces. Regardless of what you need from AnyVan, you can be sure you’re getting the best service at a competitive price; we routinely save money for customers by making use of the empty space in our vans as they travel along their existing routes. AnyVan’s man and van services span the entire continent. If you’re looking for great prices for a job going to or from any part of the UK or Europe, don’t hesitate to get in touch. Our experienced transport partners are ready to help you with your transport needs today. Contact us for a free quote now for prices starting from only £26.